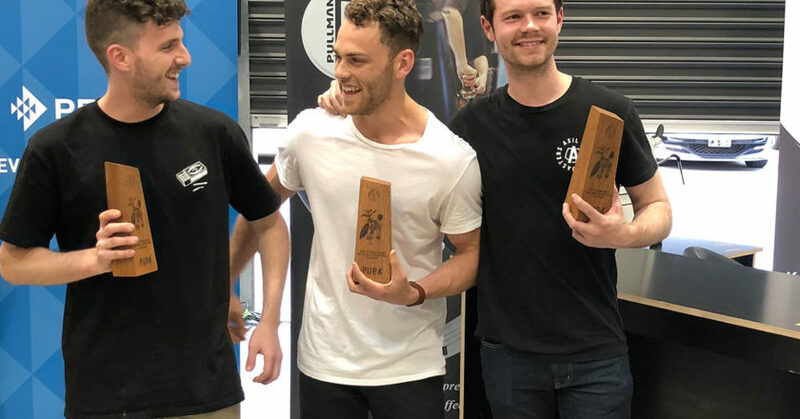 Jack Simpson of Axil Coffee Roasters has won the Australian Specialty Coffee Association (ASCA) Southern Region Barista Championship, held at Criteria Coffee in Victoria from 13 to 14 October. I was not expecting to win,” Jack says. “I spilled an espresso and had to remake a handle. Anthony Douglas, also of Axil Coffee Roasters, placed second and Kirk Douglas of St Ali placed third. This was Jack’s second time competing at the Southern Region Championships, placing fourth last year. In February, he placed seventh at the ASCA 2018 Australian Barista Championship. Jack’s routine focused on the new variety Caturran, and how it differs to other cultivars. Jack thought the bean’s lactic acid could play a role, and looked into analysing the coffee. “I spoke to our milk supplier Riverina to find out how it tested the lactic acid in its milk. It put me in contact with its labs and I sent some samples off,” he says. For his signature drink, Jack looked to emphasise the coffee’s tropical notes. “I did a five-day pineapple fermentation, using whey as a starter culture to promote high lactic acid and so it doesn’t produce alcohol,” he says. “I combined that with a watermelon maceration. When I added it together with my coffee it gave it new flavour notes. To prepare for the regional, Jack practiced alongside Anthony most days for two months, with assistance from Axil Co-owners Dave Makin and Zoe Delany, Head Roaster Matt Crowley, and his girlfriend Gabby. Jack encourages baristas interested in competing to get involved. “Just give it a crack,” he says. “[When I started], I didn’t think I was up for it or ready to compete but I just gave it a go. 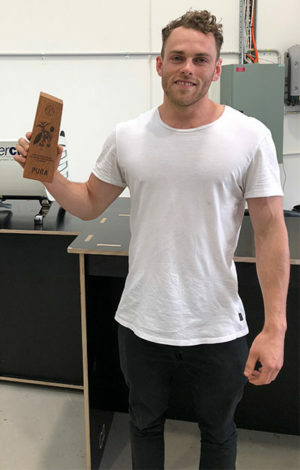 Jack will now compete at the 2019 ASCA Australian Coffee Championships, taking place at the Melbourne International Coffee Expo from 7 to 9 February.